Last week, we began to look at financial infidelity, which occurs when a partner in a relationship lies about their finances. Since money is an issue that can be very sensitive between partners, instances of financial infidelity can be hard to bounce back from (just like the other kind, unfortunately). With a little bit of work, the willingness to be honest and open on one side, and to forgive and restore trust on the other, your relationship can not only bounce back from financial infidelity, but become even stronger than ever. Financial infidelity, or lying about money matters, is unfortunately a common phenomenon. The consequences of financial infidelity can be just as severe as a romantic or sexual infidelity. Lying about money breaks the trust between you and your partner. Some people would think: when you stop trusting each other, then what’s the point of staying together? Financial infidelity can usually be tied to other marital problems. It could be a lack of communication, a lack of boundaries for finances, or an underlying addiction issue. So how exactly can you recover from financial infidelity? 1. Talk to each other about it. 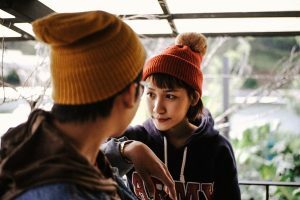 If you or your partner have committed financial infidelity, the first step to repairing the relationship and restoring trust is to acknowledge the problem. Be humble in confessing and admitting the wrongdoing. Ask your partner why they filed that bank loan without your knowledge. Maybe they wanted the money to start-up a business, or maybe they needed to payoff a debt. Some folks take loans in secret to save a dying business, but they end up in more trouble than they were in the first place. Remember, even if your intentions are good, you’re still guilty of financial infidelity if you don’t tell your partner about making big decisions like that. It helps to be transparent with each other about all instances that you or your partner committed financial infidelity. More importantly, you should both be willing to grow out of your toxic financial habits. Learn to change for the better! But sometimes, it may seem that you can’t understand why your partner is so tied to financially-draining activities. That is why the next point is extremely helpful as well. 2. Address the underlying addictive behaviours that led to the infidelity. Do you or does your partner go on a shopping spree every time there’s a red sign flashing “SALE!” within sight? Do you feel that dopamine rush of excitement whenever you buy something new? You enter the shop and before you know it, you’ve maxed out your credit card on another handbag or a new pair of shoes. Plus, you hide the receipt and bank statement out of guilt. Other times, people hide their financial habits from their partners because of a crippling gambling addiction. Sure, we can all go to the casino or online gambling sites for the thrill of it. But the question is, can you afford to? Any hobby or activity can turn into an addiction when it takes control of a person. If you or your partner can’t control the urge to toss thousands of dollars way out of budget in one game night, then that’s definitely a cause for concern. People have lost their homes, their jobs, and their professional reputation, everything they have by being in debt because of a gambling addiction. It’s possible that you and your partner cannot solve the addiction problem on your own. That’s okay! There’s no shame in getting help from a professional. In fact, you are encouraged to seek professional counsel and rehabilitation programs to address the addiction. 3. Plan your finances together. Here’s where it gets tricky. 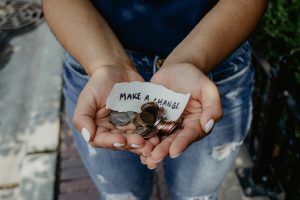 When you’ve discussed your current financial situation, dealt with toxic spending habits, and laid open all secret accounts and statements, it’s time to plan for a better future. How much debt are you currently in? How much do you both make in a month? How much do you spend in a day or in a month? How much savings do you have? Who is better at handling and managing money? What’s your main financial goal for the future? If you’re currently in debt, your priority is most likely to pay it off completely and within the soonest possible time. If you both need to work extra hours, take up a side gig for more income, or sell some of your stuff and property just to pay off the debt, then do so! Interest rates are a killer. And if you don’t pay them off entirely, they can put you in a deeper debt hole. Obviously, there are going to be some big, drastic lifestyle changes bound to happen, and both of you must learn to adjust to it. No more shopping sprees or secret spending habits. Make a budget plan that works and stick to it. It’s also probably wise to let the one who’s much more financially savvy to handle the finances but not without transparency. Once you’ve cleared off the debts and have surplus income for savings, learn to plan for long-term financial goals. Whether it’s paying for a family home, saving up for your kids’ college fund, or planning for retirement, it’s best to make plans for your money. That way, you won’t dwell on present purchases only made for the sake or instant gratification. If you need help with learning how to make a budget, I have good news for you. There is an amazing course called Getting Started on Your Personal and Family Budget that will put you on the right track ASAP! You and your partner can do this. Finally, as it was mentioned earlier, don’t hesitate to seek help from qualified financial advisors and marriage counsellors. Recovering from financial infidelity and its consequences can be a long, rough road. But luckily, with enough willpower and patience, you and your partner will not only be able work out your differences. You can even emerge from this problem stronger together. Who knows? Maybe you’ll even be able to help others who find themselves in the same situation one day. Next articleIs the Minimalist Lifestyle for Me?